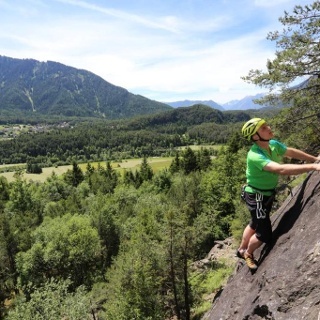 Intermediate via ferrata tour in a limestone rock wall, featuring a height of about 400 meters. Most parts of the tour are grade B but you shouldn't underrate the height and the time required as you need about 2.5 hours for the ascent. Bring enough to drink especially on warm days! 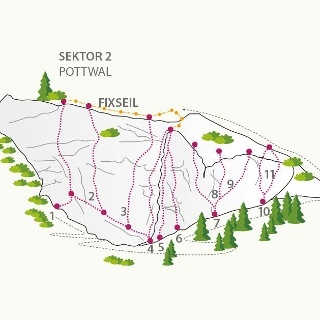 There is a mini and a midi variant with several exit points, therefore this via ferrata route is also suitable for skilled beginners. There is no other emergency exit! A small rope suspension bridge, "Innschwebe", and the uninterrupted panoramic view of the lnntal Valley promise rewarding moments. 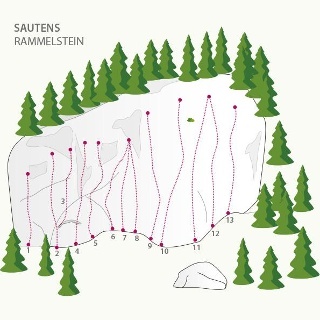 Due to the very sunny location this route is accessible almost all year round. Almost 400 meters of altitude gain on a total rope length of about 800 meters. Ascent 2.5 hours, descent 0.5 hour. Equipment: helmet, climbing harness and complete via ferrata climbing set, via ferrata gloves, appropriate climbing shoes, enough to drink! 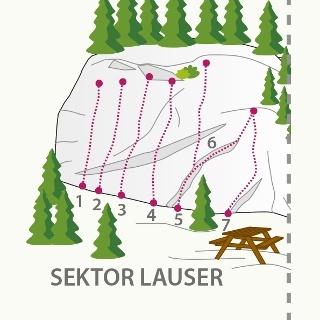 Grade B access (only via ledges, parallel), the narrow Gamsband features one B/C section, after reaching the "Innschwebe" rope bridge you also find some grade C steps. 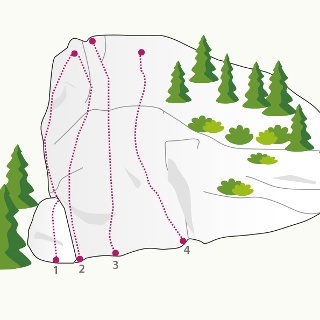 The last part is a bit easier – apart from the height – and graded A/B and A. At the end of the route you take the slightly descending, signposted trail on the right (east) – which becomes much steeper after a while. Continue down to the access point of the Simmering climbing garden. Back to the car park on the Apple Road. Haiming/Magerbach. Follow the Apple Road towards Silz, cross the bridge over the autobahn on the left after about 3 minutes, then walk towards the climbing access point. Slightly rising trail to Geierwand rock wall.